Holiday.gr - Gouvia, a trip to a myth! After Kontokali, 9km from the center, we meet Gouvia. 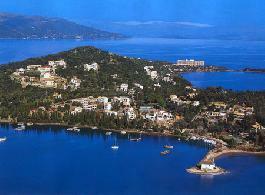 It is a cosmopolitan summer resort with many hotels of all categories. A long and highly organized beach ideal for swimming and water sports. In the marina you can anchor and replenish with fuel your boat. In Gouvia you will see the remains of a venetian naval yard. From the once impressive structure where venetians used to repair their ships, today it is only saved a row with arches. Been to Gouvia ? Share your experiences!